Say hello to a new beginning. The ARTAS robotic hair transplant eliminates fatigue, linear scarring, and human error associated with other methods. This is a different level of hair restoration and is the best hair transplant system you have ever seen. by the age of 50 are affected by pattern baldness. You are not alone. With the minimally invasive ARTAS Robotic System, we offer reproducible outcomes for our patients with faster and accurate, permanent results. Our physician will use the ARTAS Hair Studio to create your customized hair transplant design as a 3D model. During this step you will see your optimal hairline design and number of grafts required to achieve your desired look. Feel confident and assured about your future look. 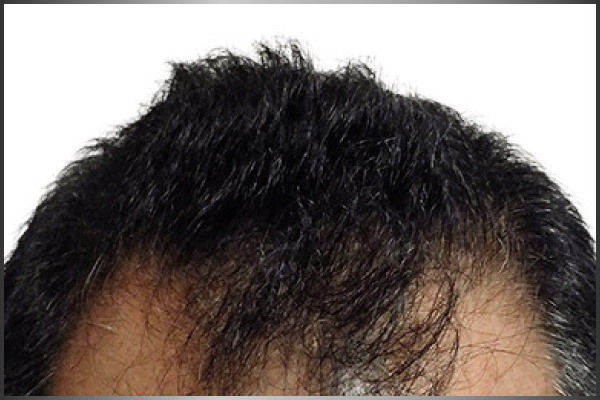 With predictable outcomes, ARTAS hair transplant does not take chances. See for yourself during the 3D modeling step of your hair transplant experience. Hair is selectively harvested with robotic precision to preserve the natural look of your donor area. Advanced robotics provide speed and accuracy beyond manual techniques. Our robot will pull out and harvest your healthiest grafts. Our AI technology identifies specific grafts that are good and bad. Good grafts have a higher potential to last after your hair is transplanted. Unfortunately with hair transplants, not every hair survives from when it is being harvested to transplanted. Our system minimizes those chances and will optimize your hair transplant with the healthiest grafts. Your 3D design from ARTAS Hair Studio is delivered to the robot for site making. Your 3D model from step 1 will be replicated onto your scalp in this step. Tiny spaces are created for your new hair to be transplanted into. Your new area will be made at the perfect circumference and depth for your harvested grafts to grow and become a full area of hair. Finally, the final step. Your hair is transplanted into your thinning areas. Noticeable, permanent, thicker visible hair growth will start in 6 months with continued growth over time. Step out with confidence and let your results speak for themselves. There will be no visible scars and no visible signs of a hair transplant after our robotic hair transplant experience. Enough is enough, Artas is innovative and easy. Started with at home remedies. Eventually found Artas and realized what really works. A professional in the music industry very satisfied with his results. Hair stylists don’t even notice this patient had a procedure done. Tried everything? Artas was this patient’s best investment. Do it once, see a night and day difference. The only regret is not having it done earlier. Procedure on Friday, went back to work on Monday. If a hair transplant is not for you, and you are seeing early stages of hair loss, we recommend a minimally-invasive option. Click the below to find out more about scalp microneedling with PRP.